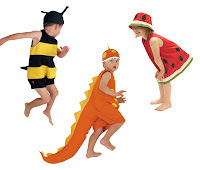 Filiokus - Playful childrens dress up costumes: A BELATED HAPPY NEW YEAR! A belated Happy 2010 to you all! Hope you had a refreshing holiday break. We are having a slow start to 2010 - getting back into routine always takes a while after the excitement of Christmas, New Year & holidays. 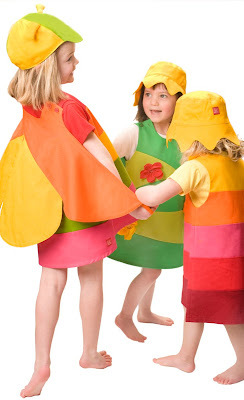 If the sun hasn't been shining where you are add some colour to a grey day (rain, rain, go away, come again another day) in the way of a gorgeous vibrant dress, a butterfly, a flower or how about a seaside crab suit. We are now looking forward to the Martinborough Fair on Saturday February 6th.